We are just getting ready for the Maine 2011 kite flying season and have several special events for our local kite community. Both the Noreasters ( noreasterkites.com ) and KONE ( kone.org ) are invited to join in these three events. First will be the Wells Reserve EcoDay in Wells Maine on April 16. We have been invited to fly kites in a large field on the Laudholm Farm. This is a nice kite venue, a hill top field with views of Wells Beach to the East and Mt Agamenticus to the West. We went to their first EcoDay last fall and had a good time. This event should be even bigger, more displays and demonstrations. 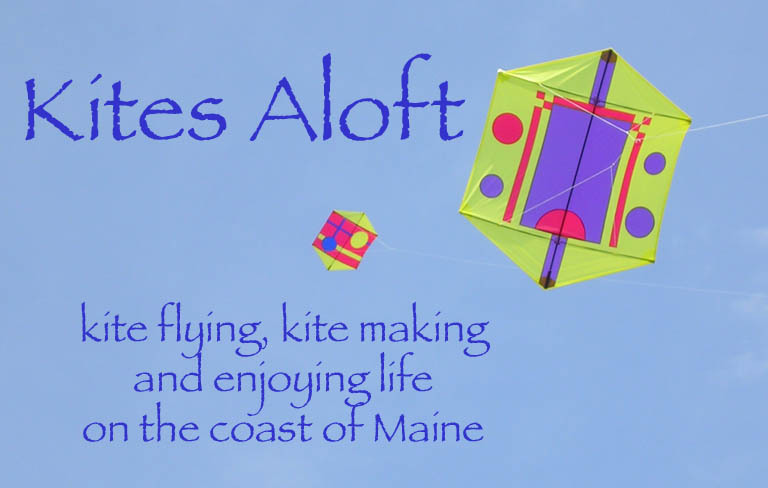 The next event will be in Owls Head Maine at the Owls Head Transportation Museum for their annual Kites Bikes and Trikes Family Festival on April 23. Here we will be flying kites on and near the taxi way to the museum. We have been there several times and they make us feel at home there. It is worth the drive up there just for the museum where they have a great collection of cars and airplanes. Lastly, in the special events for this Spring is the Bug Light Kite Festival on Saturday, May 14 We held the first last year, strong wind did not allow the great kite display we can produce but we are hoping for better weather this year.